In December, pensions minister Richard Harrington announced the scope of the DWP’s forthcoming review of automatic enrolment (AE). The review will look at AE coverage, as well as the current thresholds and age criteria. In other words: are the right people saving, and are they saving enough? The review will also gather evidence on minimum contribution rates but does not expect to make any policy decisions on this in 2017. 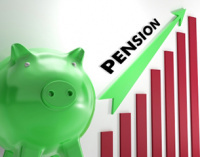 When automatic enrolment was first proposed, there was a lot of thought given to identifying “workers who would not benefit” from making pension contributions and therefore should not be “forced” to save. Employees earning less than the qualifying threshold were judged to be unsuitable for AE, due to affordability and because they were expected to be able to achieve a 100% replacement rate through state benefits anyway1. In 2017 the focus has shifted to “who’s missing out”. According to the Pensions Policy Institute (PPI) half of working age people are not eligible for automatic enrolment, 5.3 million of whom are employed but do not meet the criteria2. There is also no doubt from the results so far that certain groups miss out more than others. The PPI research also found that a high proportion of ineligible workers are women and part-timers, including many with several jobs. How do we encourage more savers? The simplest way to include lower earners would be to lower the qualifying earnings threshold; some groups have even called for its complete removal. This scenario would lead to 3.3 million additional individuals becoming eligible for automatic enrolment3which would obviously impact on both the Treasury (in terms of tax revenues) and employers (more eligible employees mean more contributions). Employers in those industries where low earnings are more common, often in combination with more transient workforces, would be hardest hit and likely to oppose this change. It would also lead to multiple very small savings pots, which is something the original authors of the policy were keen to avoid. We need therefore to decide if it is now right that ALL of these people should be included in AE, bearing in mind that they are not excluded from joining their employer’s scheme, they are only excluded from the AE process. Lowering the threshold rather than removing it completely is likely to be more suitable. Including the 4.6 million self-employed individuals4 currently working in the UK, would also affect short-term tax revenues. However, there is a suggestion which could offset this effect and be used to encourage saving at the same time. My esteemed colleague, Sir Steve Webb, suggests increasing Class 4 NI contributions to 12% and allowing contributors to redirect the additional 3% to a suitable pension arrangement, so long as they undertake to pay 5% personal contributions as well5. Without an incentive such as this it is difficult to see how the current trend of falling pension contributions by the self-employed could be reversed by relying on opt-ins alone. Individuals under the age of 22 and those over the state pension age (SPA) are also excluded from automatic enrolment, and there have been calls for this to be revisited, particularly the lower age limit. Young people will be allowed to save via the Lifetime ISA from age 18 which may increase opt-out rates when they reach age 22. It could therefore make sense to bring these limits in line so that younger workers can benefit from employer contributions from an earlier date. How much should they save? Although the review is not looking to address minimum contribution rates in 2017, the amount that people save will of course be impacted by any change to the lower and upper contribution limits. Under the current rules the minimum contribution rate for most people will not reach 8% of salary; it is 8% of some of that salary. An individual on the average wage of £25,000 would for example be contributing only 6% of their total salary. The concept of band earnings was originally introduced when there was no separate Earnings Threshold and the rationale behind it was that it would prevent the creation of lots of very small value accounts for low earners. If the Earnings Threshold remains in place, albeit potentially at a lower level, this argument does not stand up. People do not understand band earnings and the argument for “£1 contributions”, even if still subject to an upper limit, would be much simpler, and it would be a first step towards addressing the adequacy of AE savings. Removing both limits would be a double whammy for both employer costs and tax revenues. Employers would have to contribute more per employee and at the same time contribute to more employees’ pensions. If this is considered too difficult to manage then my view would be that the priority should be to increase contributions otherwise we risk people becoming used to the idea that “8% of something” will provide them with a comfortable retirement. In the absence of any change to minimum contribution rates removing the lower contribution threshold would be a good start. That, and getting the self-employed to join in.